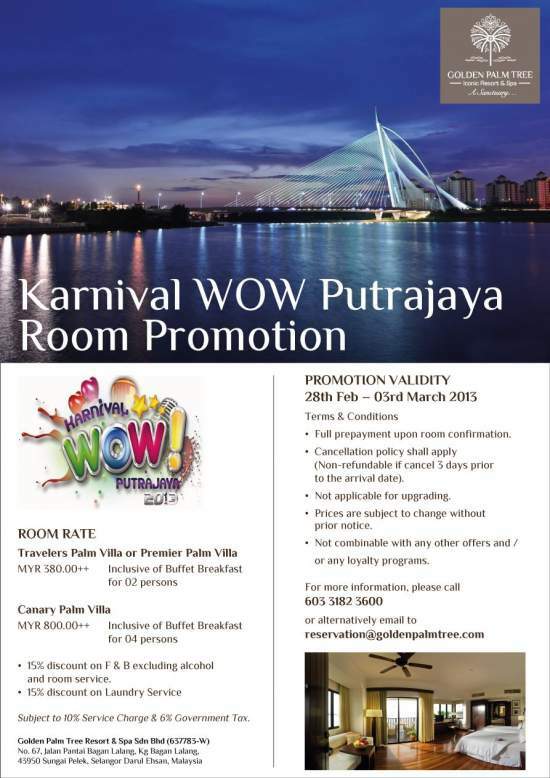 Golden Palm Tree Sea Villas & Spa, Sepang GoldCoast is having a room promotion in conjunction with Karnival WOW Putrajaya 2013! 15% discount on F&B excluding alcohol and room service. full prepayment upon room confirmation. cancellation policy shall apply (non-refundable if cancel 3 days prior to the arrival date). not combinable with any other offers and / or any loyalty programs. Do you like Golden Palm Tree Sea Villas & Spa?